Oh, my! I wish I could send you all of my son's Star Wars Lego sets. He's got a gazillion of them (at least half of the sets made between 2003-2007) that he never plays with. Santa gave him the Millenium Falcon in 2004, and it took Santa and I almost 4 hours to put the stupid thing together! Now, it's sitting in a bin, all torn apart. I have to get one of these for my nephews! I saw today online there is a new Star Wars line of fabric coming in 2012...start saving now! summerstead i will give you my address if you want to mail that out to us! haha! rx quilter WHAT? got to check that out! yes this is a must have book! I have to get one! these are too too cute! i might have some old school star wars t-shirts that my husband couldn't ever dream of fitting into ever again if you are interested! we're nerdy at our house, too! most of my christmas list is harry potter stuff! I knew I loved you and here is yet another reason! We just have girls at our house so we usually reside in the Princess Leia relm. Have you seen the quiz book? They had it at costco and it has a little electronic screen that asks you questions from the book and then tells you if you get it right. But who has time to sit and play with a book? Merry Christmas! 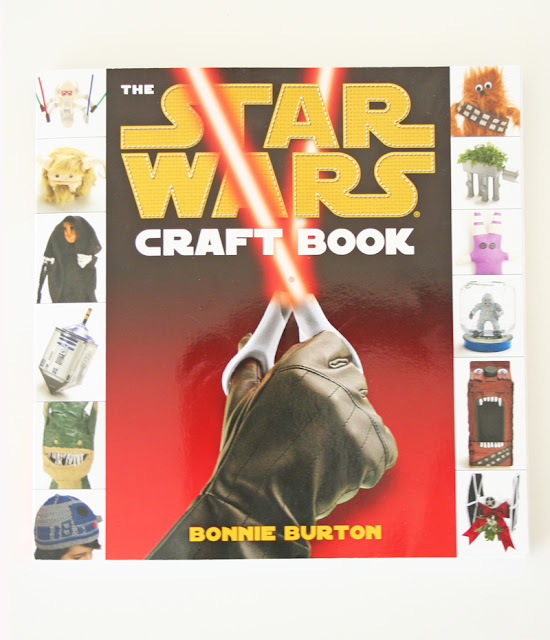 LOVE that Star Wars craft book!!! I totally want it. 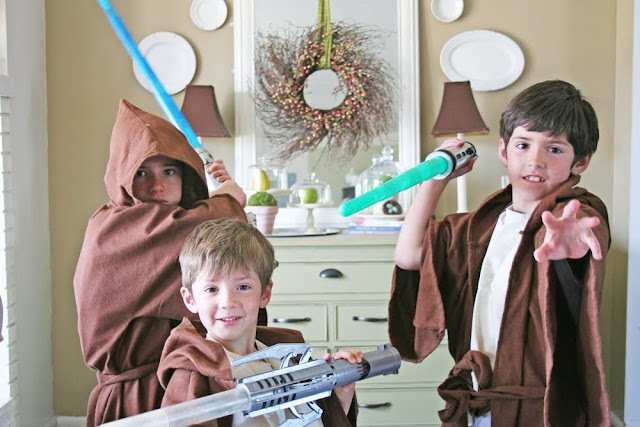 We are total Star Wars dorks to---I even made and entire set of Star Wars peg people for my nephew last Christmas. ps---Was that a R2D2 dreidel that I saw on the cover? If so AWESOME!!! Wow! We are a family of the same liking. 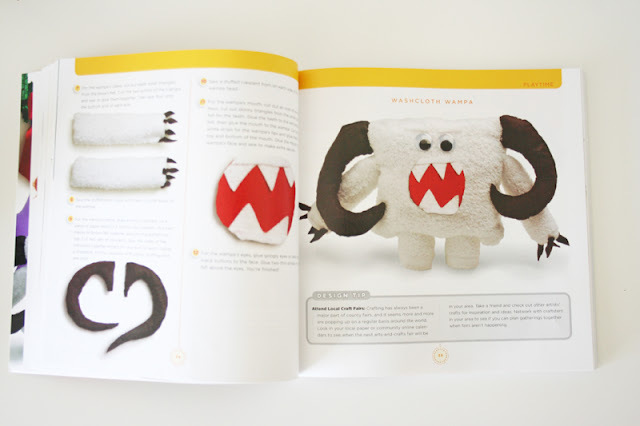 My boys would love it if we had this book..might just need to go and order it! Thx for the tip and have fun crafting! I think I need me one of those books!! We are also a little cuckoo for Star Wars....and LEGOs. My son found this at the library. It has been at our house numerous times. Great book. But I forget about it because he always has it in his library box! I can kind of crochet....will have to try the R2D2 hat. Oh boy! When my an was younger - even still in diapers, I would buy (me) him star wars figures to play with. And that kept up until he was in high school age. He's 21 now and I miss all the star wars gear that we sold before moving to TX. So I guess I'll live vicariously through the (geeks) people that currently get to play Star Wars. no way. that's totally fun! I need that book. Owen already has an obsession with it and he's barely 4. what?? In our house it is all pink, fairies and princesses but I so have to recommend this book to my friend, thank you for sharing! That book is amazing. I think i am going to have to buy that today! I just knew that you need to see these! Hilarious! I just gave the millennium falcon to my husband for his birthday last week. I bought it at target when it was on sale then I returned that when toys r us had it on sale for even less. At the tender age of 36, my husband declared it the best present he ever received. He was able to put it together with the help of my 3 and 5 year old sons! It's a Lego star wars Xmas for us too! Thank you, thank you thank you! That book looks awesome. Alone in your geek you are not. WAAAAAAOOOOUUUUUU !!!!!!! Got three boys here too !! (ok nb 3 is too small yet but...got to be prepared...) the kids are starwars crazy.....this is soo great !!! may the christmas force be with you !!! 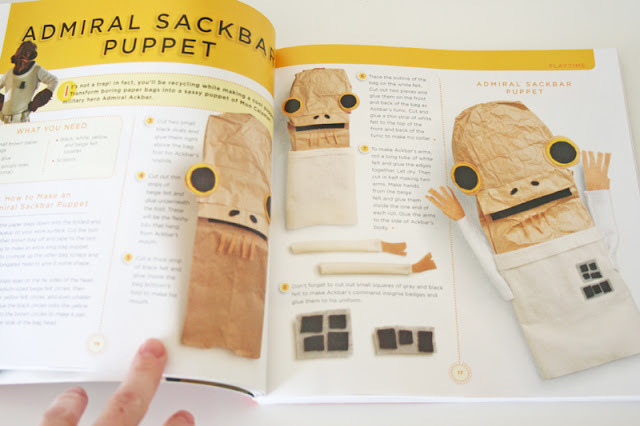 Oh my goodness - I have now added this book to my wishlist - it looks perfect! 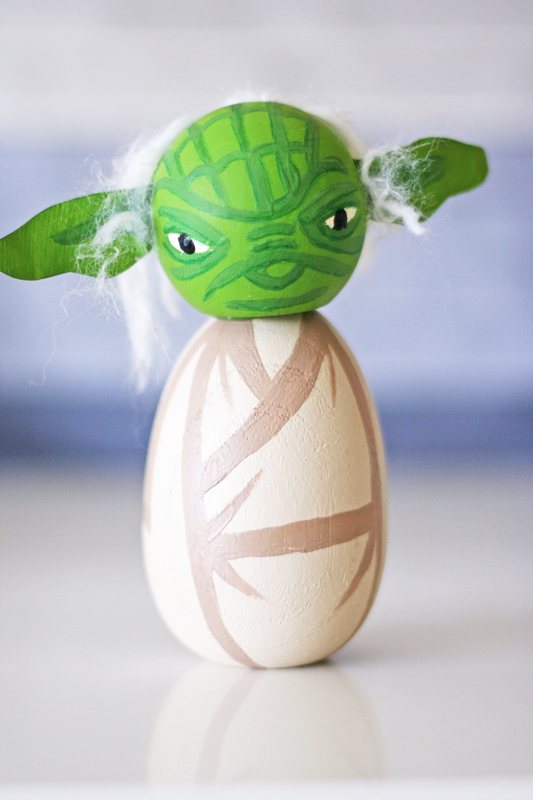 My niece loves star wars, and every one of those projects you showed she'd love. It is so amazing what people think of. You will have SO MUCH FUN! 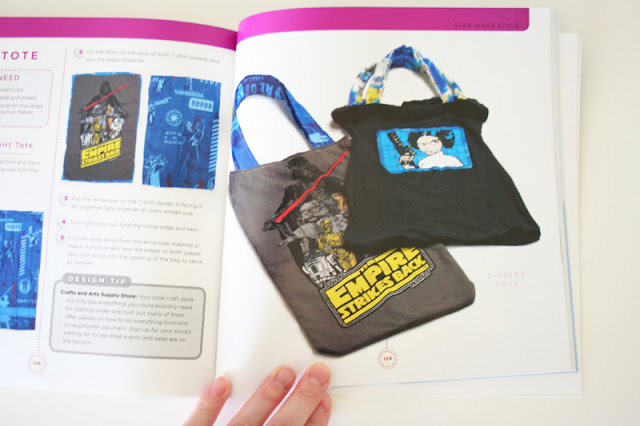 Yeah, Star Wars nerds gotta stick together (oh, and my 6 yr old will be wanting the ewok hat, too. Sigh). 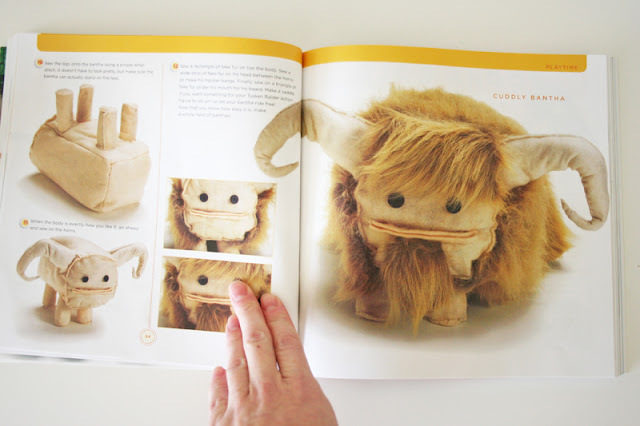 This is the most awesome book I have ever seen! My sisters and I happen to have a little obsession with Star Wars too. I'm glad to see that we aren't the only ones though! so there you have it. even though "nerd" is in right now, i have a feeling we'll still be loving it swtor credits and BEING it when it's not. Hilarious! And so absolutely cool! Your Jedi boys are so handsome! Love the craft book. I'm going to make a Star Wars quilt for my son . . . someday. I've got all the fabrics. I just need to find the time. Also, I hope being a nerd stays "in" for a very long time. It is fun to do what you love and be proud of it!